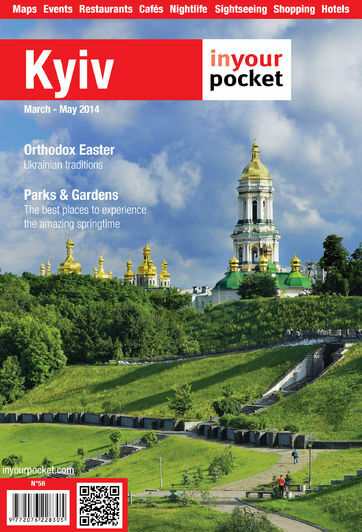 Kyiv's sightseeing to-do list is topped by its famous gold-domed churches and cathedrals, magnificent sanctuaries of worship that impress with their history and art. Since everybody needs souvenirs to take home, God kindly created Andriivs'kyi uzviz. Next are the city’s museums, historical monuments, and finally a wonderful open-air museum on the edge of the city limits. While it is more of a summer hang-out, the attractions of the Hydropark ranging from clubbing to table tennis have began to open as the weather improves. Kyiv has the highest number of square kilometres of park per resident in Europe, lined with benches and dotted with monuments. Spring is generally mild, so there should be plenty of opportunity to enjoy the outdoors and the central squares. You will never be alone as Khreschatyk street's musicians, vendors, and rowdy revellers make their appearance and the chestnut trees rise from their winter sleep.